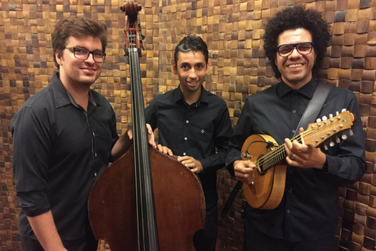 Hamilton de Holanda is one of the most acclaimed Brazilian contemporary musicians, known for his tour-de-force compositions and stunning command of his instrument–the bandolim, or mandolin. “Virtuosic,” “brilliant”, and the “Jimi Hendrix of the mandolin” are some of ways that this musician who sets world audiences ablaze has been described. “He is the personification of everything we want in a musician…. He has depth of soul and feeling.